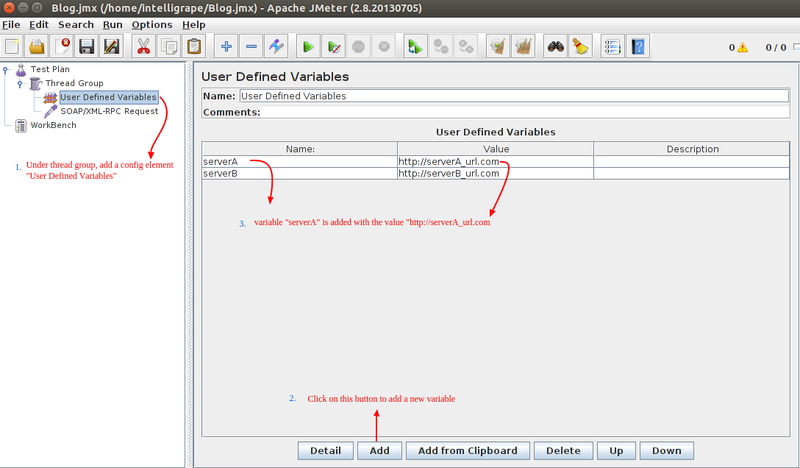 JMeter is a very popular open source tool which is used for load and performance testing. 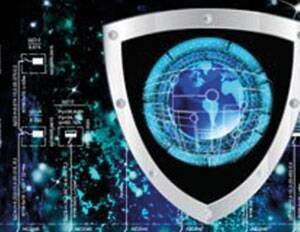 With its multiple features, Jmeter can conduct tests for any web application, web server, mail servers, database or even file servers. 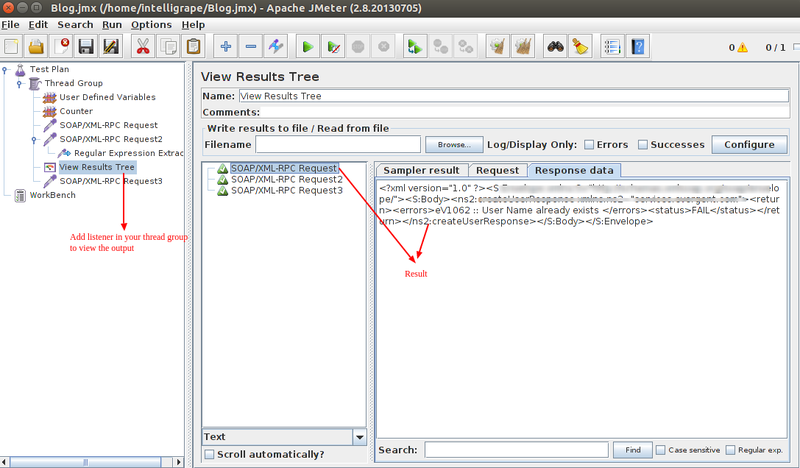 A recent requirement for our project made us use different components and elements of JMeter together. In this blog, we will walk you through different elements and features that were used in our test plan to solve this particular use case described below. 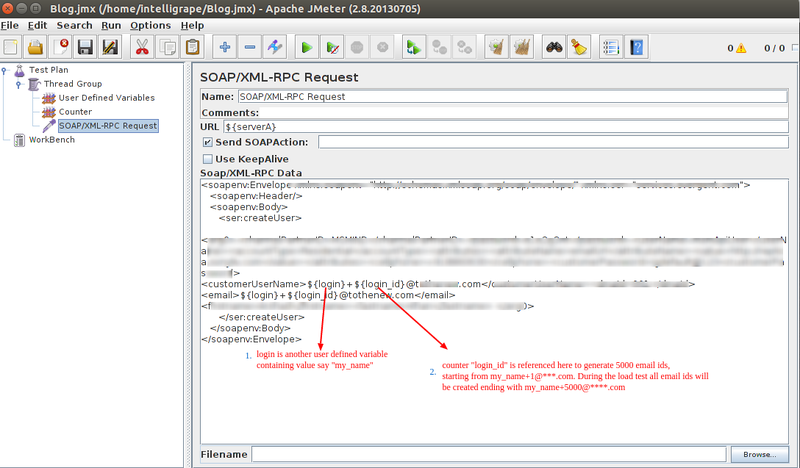 Recently SOAP APIs were added in our application, so we wanted to test the strength and performance of our servers. 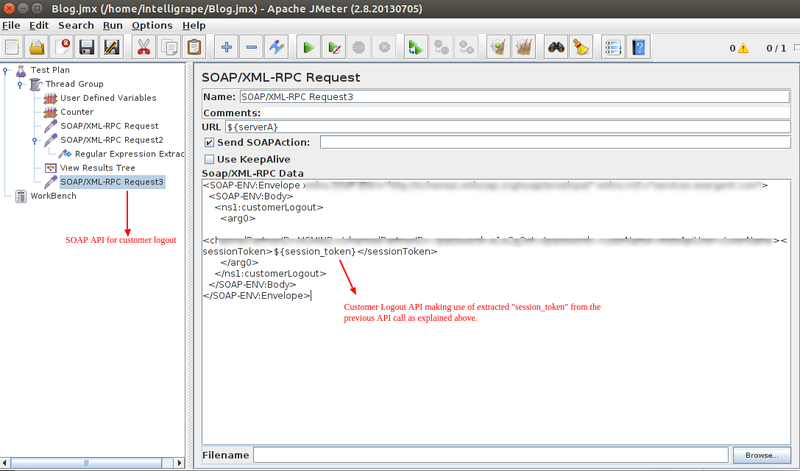 Testing the SOAP APIs in Jmeter is very simple. 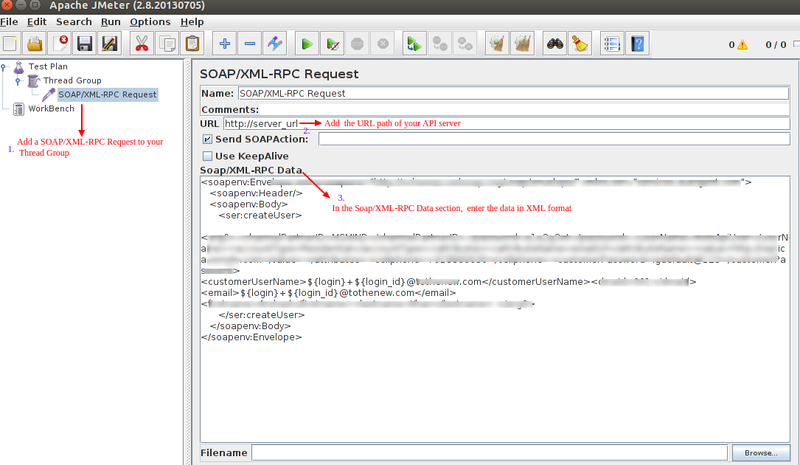 All you need is a SOAP request and the server URL. 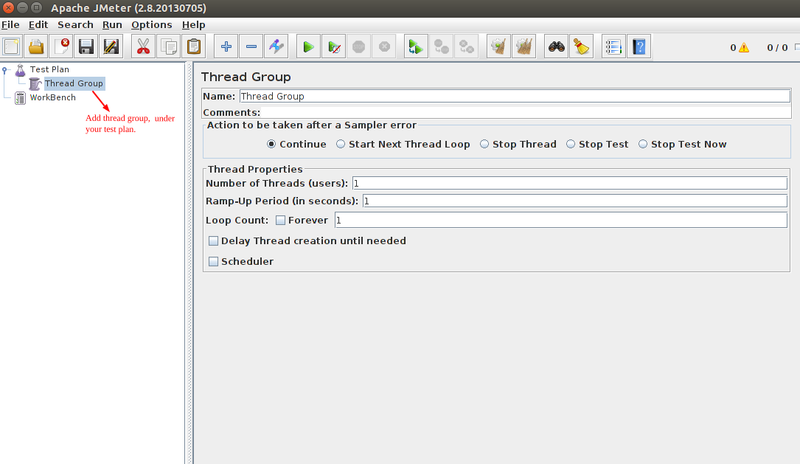 Starting with that, we build the first draft of our test plan. 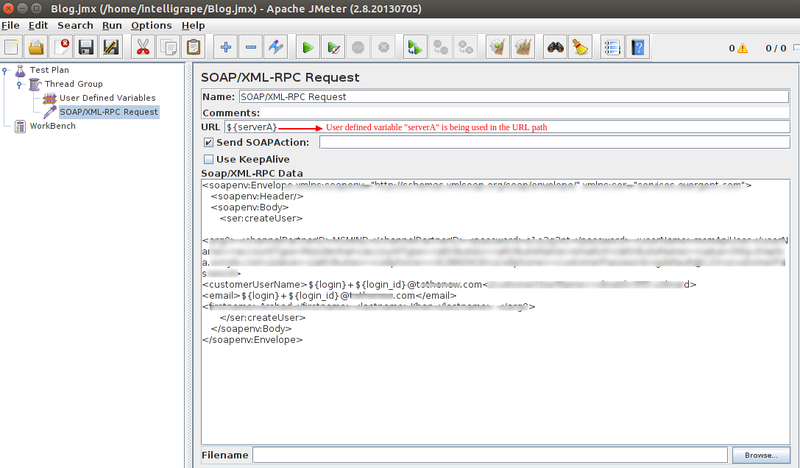 One of the requirements was that our servers URLs were not static. 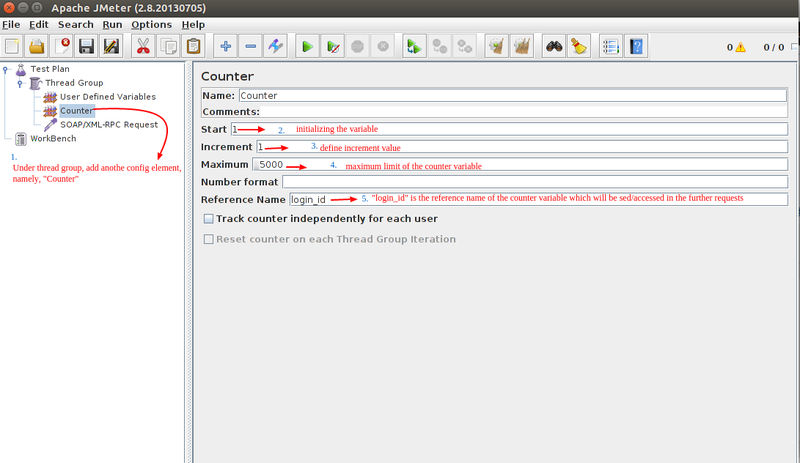 Given the condition, we had to modify our test plan so that we can pass variables in our server URL names. 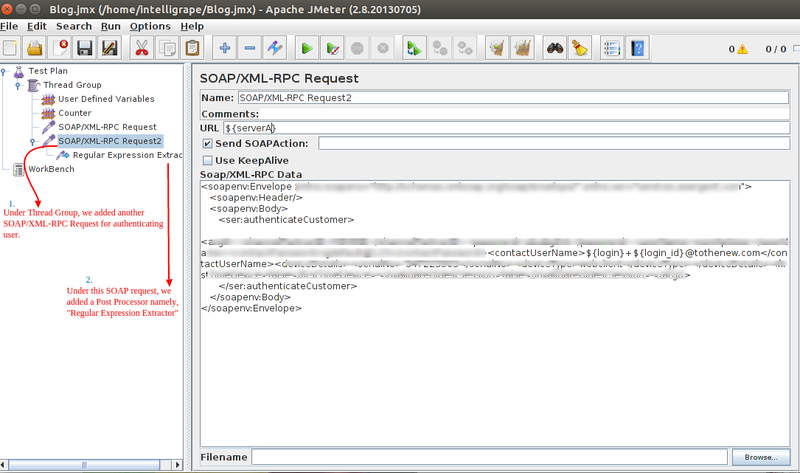 Also, SOAP APIs were used to create a user, authenticate it and log out. 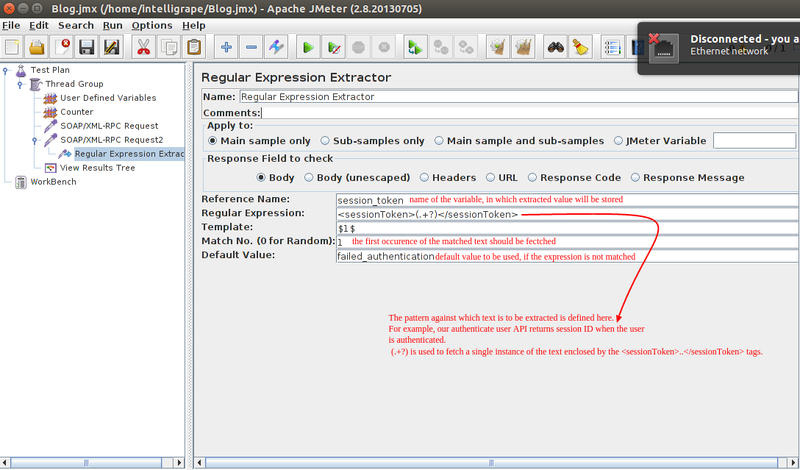 To accommodate all these requirements in our test case, we used variables, counters, regular expression extractor elements provided by JMeter. 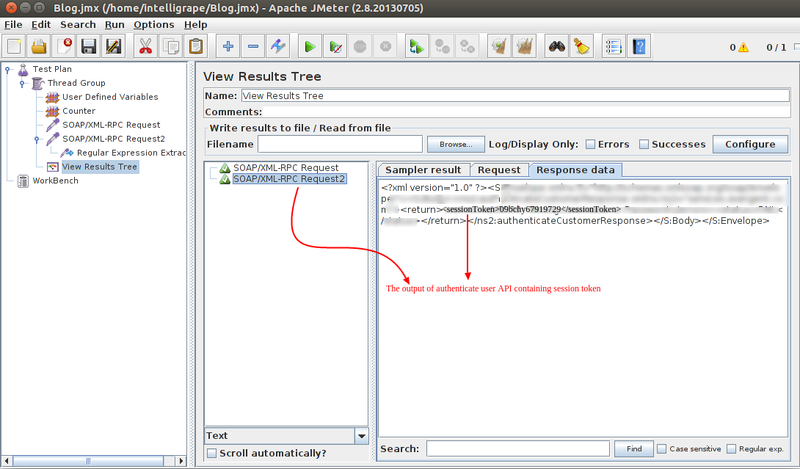 In the next few paragraphs, we would be explaining how to use these three elements in Jmeter.